Only an hour from Westport, Knock Shrine is the story of fifteen people from the village of Knock who witnessed an Apparition of Our Lady. 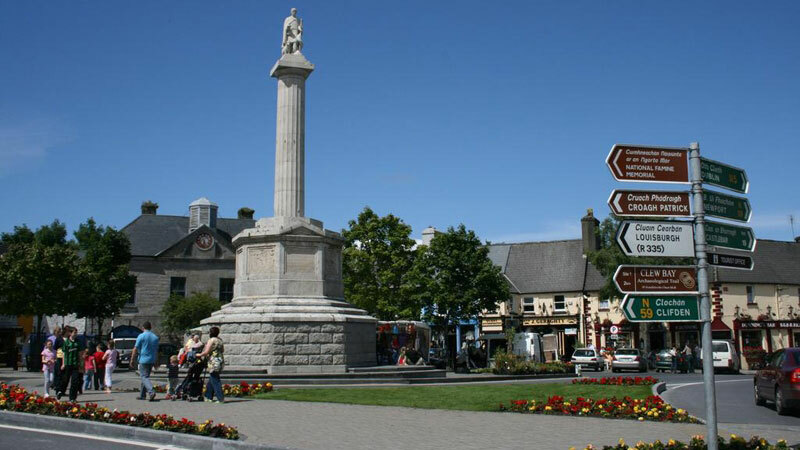 There also is a special area off Main Street devoted to souvenir shops; you can also visit the Basilica, Our Lady of Knock, Queen of Ireland, The Chapel of Reconciliation, The Knock Museum and The Old Cemetery with the Witnesses Graves. 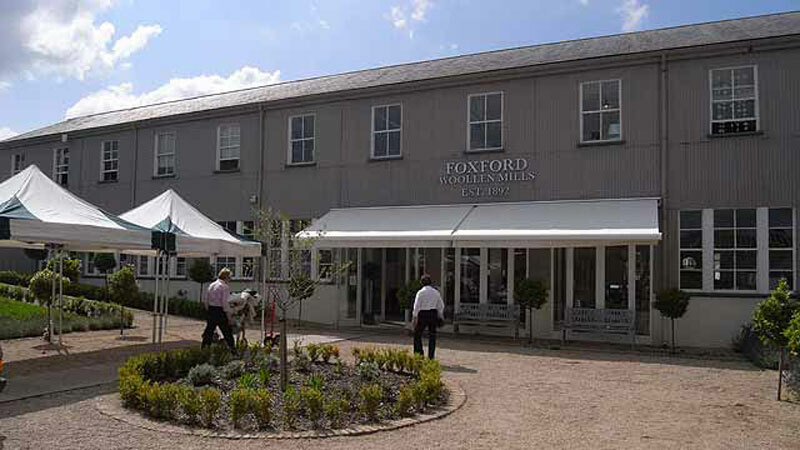 Foxford Woolen Mills and visitor centre is one of the last working mills in Ireland. Today, it is a thriving working mill with master craftspeople creating the world’s finest weaves which are considered treasured possessions worldwide. Amble throughout the grounds, explore the jewellery workshops and art galleries and treat yourself to a gourmet feast at the Olde Mill Restaurant. 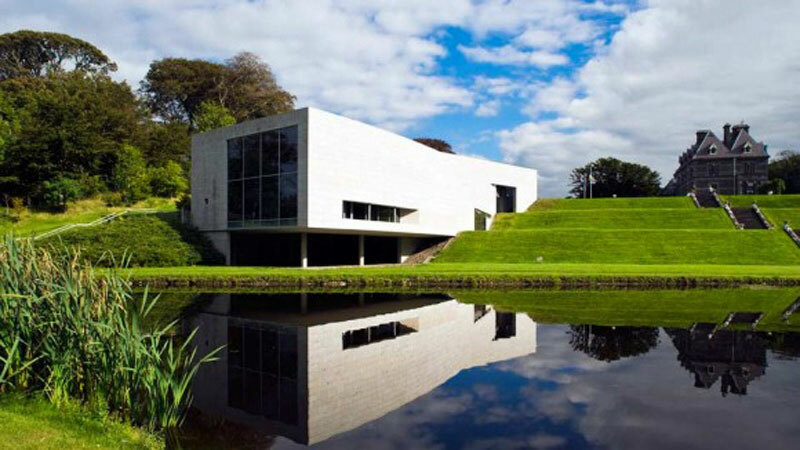 Only 25 minutes from Knockranny, the award winning National Museum of Ireland hosts a national collection of the story of Irish country life between 1850 and 1950. The Turlough Estate is perfect for an afternoon stroll with distinctive views including the 19th century Victorian Gothic house, the lake and woodlands and the ruins of the 18th century bowfronted house. Explore the monastic round tower, thatched cottage and picturesque modern freestanding glasshouse with grass terraces, picnic islands, formal flowerbeds, a croquet lawn and a tennis court. 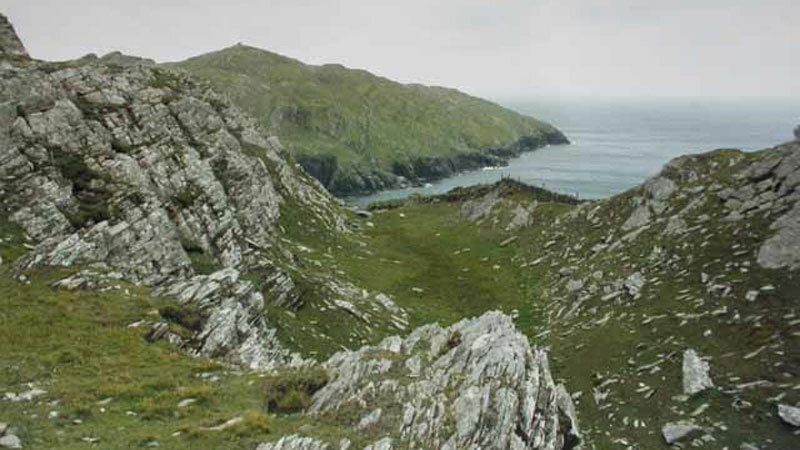 North Mayo is the home to the amazing Ceide fieds. 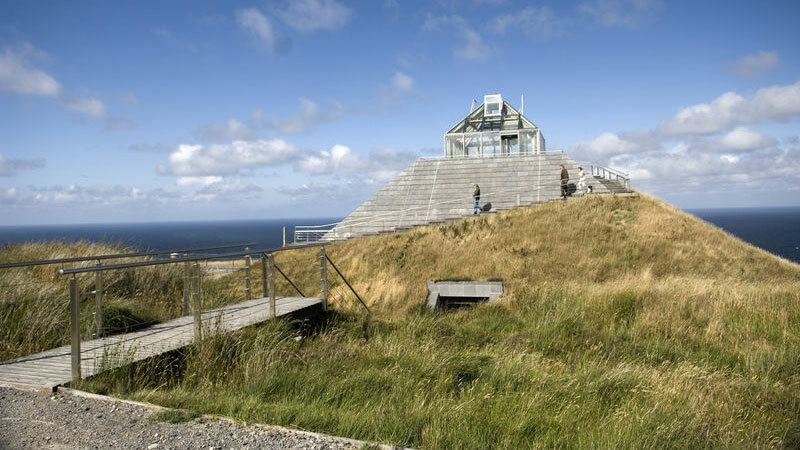 Indulge yourself in a vast prehistoric landscape, a natural wild ecology of blanket bog, dramatic cliffs and coastline, and visit the multi-award winning Céide Fields Interpretative Centre. The Céide Fields are the oldest known field systems in the world, over five and a half millennia old. Combinations of warm Gulf Stream factors and cold deep waters have resulted in the wild beauty of this region including the unique ecology of the bogland, with its colorful mosses, sedges, lichens, heathers, flowers and insect-eating sundews. An archaeological treasure, couple this with its remarkable wall-like cliffs and steep hills and you have one of Ireland’s rare gems. Snugly nestled between the islands of Inishbofin and Clare, it is surrounded by the wild north Atlantic, activities on the island include hillwalking, fishing, walking, swimming and scuba diving along with many sites of historical interest. Always reminds us of an adventure island from one of Enid Blyton’s Famous Five series of children’s books! The largest of the Clew Bay’s islands is Clare Island the ancestral home of the legendary Pirate Queen Grace O’Malley (Granuaile). Inhabited for 5,000 years and just 3.5 miles off the coast by ferry ride you can often enjoy your journey there with a school of dolphins and or a herd of seals. It boasts dramatic coastal cliffs and spectacular views and is also rich in archaeological sites. Take a ferry from Roonagh after breakfast and spend the day before catching the ferry home in time for dinner at Knockranny. Launch an expedition and ramble in the hills of Ireland’s largest national park. Ballycroy Park is a massive 11,000 hectares, and is overlooked by the dominating Nephin Mountains. 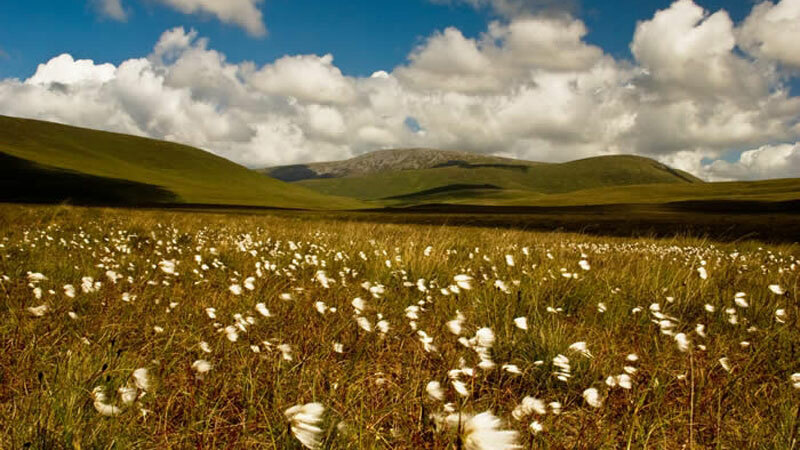 A combination of Atlantic blanket bog, cliffs, river habitats and mountainous terrain, this vast uninhabited and unspoilt wilderness is one of the largest expanses of peatland in Europe. 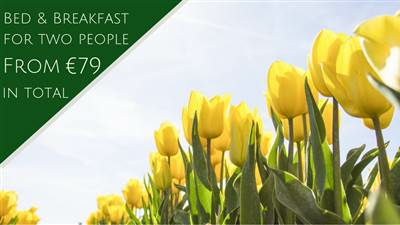 Enlighten your senses with an array of extraordinary sights, sounds and experiences that you will find nowhere else in Ireland. Achill, the rugged edge of Europe, with its Atlantic location it has an un-rivaled reputation for outdoor activities and water sports, breathtaking landscape and blue flag beaches. 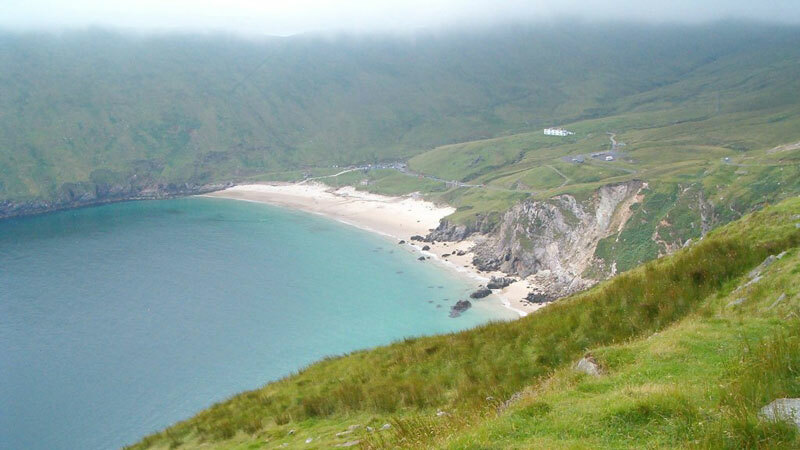 DO NOT miss the Atlantic drive en route to Achill from Knockranny. Simply stunning. Achill also offers a journey back in history with the Deserted Village; sheltered under the slopes of Slievemore, the village consists of approximately 100 stone cottages from as far back as 5,000 years ago making it a poignant journey through times past. 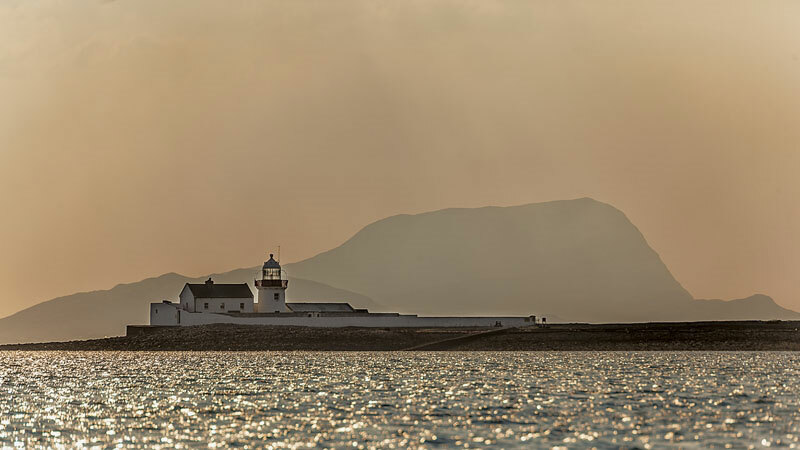 Let the story of Westport come to life with a visit to Clew Bay Heritage Centre. Housed in a 19th century building there are numerous artifacts, documents and photographs connected with the general Westport area. The centre is a "hands on" experience and visitors can actually touch the artifacts on display. Learn about Grace O’Malley and the O'Malley Clan, original rulers of this part of Mayo, the Port of Westport, Croagh Patrick and Ireland's Struggle for Independence. Welcome to a place of ancient history, Patrick's sacred mountain, and a rich vein of archaeological heritage. 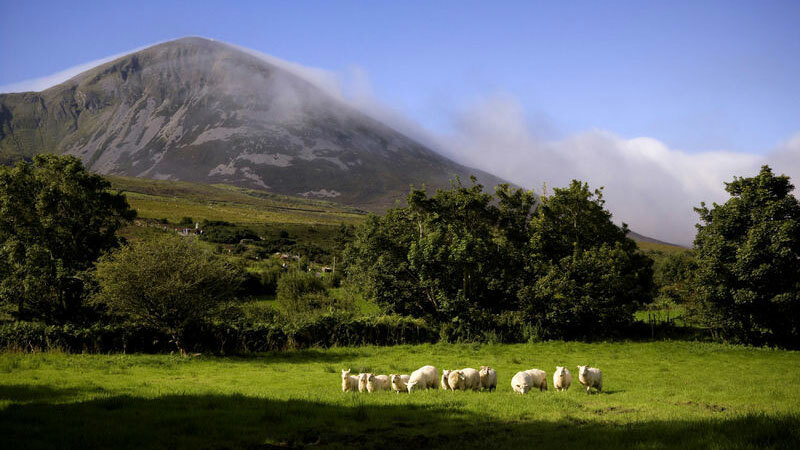 Croagh Patrick is situated 6 miles form Knockranny and the mountain's conical shape soars majestically above the surrounding countryside. Magnificent views of Clew Bay and the surrounding south Mayo countryside are to be had from all stages of the ascent of the mountain. Follow the steps of Patrick and in doing so meet people from far and near.